“The Omen” depicted the birth and rise of the “anti-Christ,” the cunning son of Satan who would be known by “the mark of the beast,” 666, on his body. Christ has returned with a New Name coming in the "Glory of the Father" or Baha'u'llah meaning Glory of God. The sealed book is unsealed. Much of Revelation has to do with Muhammad's revelation which lasted 1260 years before the Bahai revelation came in Persia. For more information go to http://reference.bahai.org and look under the 'Abdu'l-Baha tab in the book Some Answered Questions, which has section devoted to explaining the "unsealed" interpretation. May the Jesus bless. If you are interested in learning more about who Jesus is, what he has done for you, and the historicity of his ministry, read Lee Strobel's book The Case for the Real Jesus and also check out http://www.equip.org. God bless. Myth#5: All born again evangelicals believe in the "rapture" and Tim LaHaye's privatized version of eschatology (study of end times). The fact of the matter is these bogus theories were virtually unheard of prior to the 19th century when it became increasingly popular for self proclaimed Bible teachers to try to set dates for Christ's return. In fact, the New Testament offers embarrassingly scant evidence for most of the claims made by LaHaye, and many verses even contradict some of his dispensational views. For example, he loves twisting scripture by claiming all Israel is God's people, even when both Paul and Jesus clearly taught that being physically descended from Abraham did not determine this at all (John 8, Galatians 3:28-29). There are alternative evangelical views emerging that are going to help the church get back to what it was meant to be rather than what doomsday enthusaists have made it into in the last century. I can name at least half a dozen scholars who disagree with her view. Or how about the gross fallacy in her words "he doesn't even say Jesus died for your sins". It would be nice if Pagels bothered to read the Bible itself before making these claims. Revelation 1:5 reads "to him who loves us and has freed us from our sins BY HIS BLOOD"
In Pagels' s worldview the only idea that is truly beyond belief is that Jesus was the Son of God who came in human flesh to die for her sins and that the Bible is an accurate acount of His life. Because she repudiates the possibility of Christ's first coming being true, it should come as no surprise that she scoffs at His second coming. All opinions are not equal. Critical analysis requires a knowledge of the subject for which the author has demonstrated very little in regards to what I did read. I was doing personal research when this website c/blog came up. When I find assertions being made that have no sound source or rational argument, I dismiss the source as hearsay. Whether it is or not in reality i Do not know. I have to take the Alpha and Beta risk associated with my methodology in searching for knowledge. Elaine Pagels has been de-constructing Scripture for years. She has championed Gnostic gospels and other non-canonical books. For some reason the networks consistently give voice to radical critics of Scripture and never really check out well-reasoned evangelical responses. I am interested in Revelation myself. I do agree with Pagels that it is a difficult book. 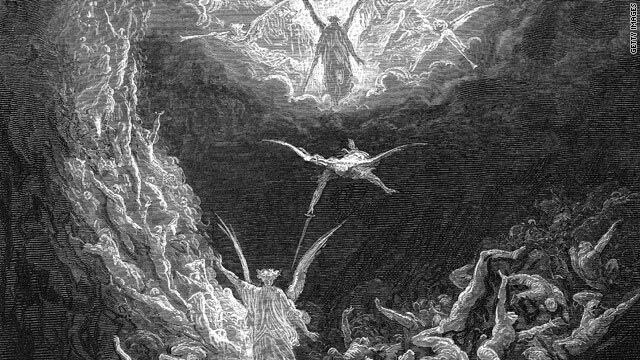 I have begun a series of articles on Revelation at http://www.lastdaysworkshop.com. I shall probably give more credence to the so-called "myths" that Pagels believes she has totally destroyed. I encourage readers to check out some evangelical studies of Revelation. They will find that these scholars do not all agree by any means. But I think they will find that there is respect for the Scripture as it has been received by the church for centuries. The church did debate the books that were received into the canon and those that were rejected. The church did so carefully and prayerfully. They recognized that many of those books that were rejected advocated theologies that were not compatible with the revelation of Jesus Christ as God, the Second Person of the Trinity who has joined the human race as the son of Mary. That theology was not intended to subjugate women or promote anti-Semitism or create a church hierarchy. It was the theology of a God who so loved the world that He gave His only Son that whoever believes in Him will not perish but have everlasting life. I believe everyone should research all beliefs in God and Jesus as well as other spiritual beliefs. The only way to understand anything about Christ you have to study the Gnostic scriptures as well as the Hebrew and Greek versions. The bible is just like any other book. It is inspirational and gives the reader a message to live by. But to say that it is absolute truth is absurd to me. The only reason Christianity is in power now is because of politics and they have taken that power and the name of their god to control the human race. The catholic church's power is built on the blood of innocent people. the use of gods name to force conversion on others claiming their God supreme. If any Christians have been aware of the recent findings in archeology and science then you would be well aware that a lot of the stories in the bible are not accurate at all. But here's the catch. Stick a book in the bible that scares the pee out of people and stick hell in there too. Free will out the window, believe or else. Of course people will follow right or wrong. The millinium was supposed to be the second coming too. when will they give some other religion a chance. Maybe should get rid of religion all together. No more who right and who's wrong. Live for each other the earth and the universe. Then you will find God. He and She feminine and masculine. "I believe everyone should research all beliefs in God and Jesus as well as other spiritual beliefs." Spoken like a first world elitist who doesn't seem to realize that not everybody has the time, resources, literacy, or education to do all this "research". And just how long would you expect that to take, anyway? Besides, after researching one or two and realizing they're bogus, I'm guessing most people wouldn't bother continuing. ".................For some of the earliest Jewish followers of Jesus, the destruction of Jerusalem was incomprehensible............."
"Mar 13:2	And Jesus answering said unto him, Seest thou these great buildings? there shall not be left one stone upon another, that shall not be thrown down." One would think the not-Christians would have been the ones horrified since Christians ARE the TEMPLE. I just read a book called The Second Exodus: Reviving the Dead Knowledge of Jesus of Nazareth. It argues that the Old Testament biblical texts are veiled, containing a hidden message that only the doctrine of Jesus could decipher. At first it sounded corny, but after reading it, it makes a very strong argument that there is a whole lot more going on in the Bible than anyone can currently see. It is essentially claiming that all of mankind is obliviously living under the prince of the world (deception) because we can’t see why the Bible is truly divine. Wondering if anyone has read it, and if so, if they have any insight if what that book is claiming is actually correct? What Ellen Page might have been reading as a teenager like me but she didn't do one thing I did she didn't go to the father...Instead she stuck with too much junk the fact is Adam n Eve read the first three chapters to for six .... Are slowly but surely from her teenage years till now she would have found more a better answer than what she posted I haven't even read them I don't even have to.. You got follow my notes go see the whole Bible come clear right before your eyes nobody has to go to church everybody have to be on the same page because God's Word has been testify to him and he is working right now..Good luck all God bless you in the name of Jesus Christ amen..
Yeah if you guys would just read Genesis chapter 3 verse 5 Then reread it..Because eve And Adam read those chapters of that verse.. Uncovering and revealing of the Bible no longer a mystery... Revelations is a Spiritual part of a man Where from the snake all the way to that of evil can turn into a false prophet and claim Words from the Bible they just aren't true..Which in turn defiels Our fathers word.. From the beginning to the end..The words capital and " see the behold come Are for his children to pay Attention to.. You read it this way listen to what I say and The whole Bible will come clear right before your eyes..for Gentile that I did the word they read it... And immediately was in heaven for the whole host.. I'm no profit haven't read the whole Bible yes I don't think I am one.. One comes what I will be your guyses problem you made him up like that.. The fact is our fathers working right now.. Nobody in heaven or earth to dispute the Adam and Eve in read those first three chapters of the verse 5..I got the verse 6 everything was clear..Before seven there eyes were not open to the flash and flash world..The snake is the part first part of our intellect that starts to deceive Live profile which becomes the Beast the false prophet the Dragon Exedra.. everything. Christianity and particularly the teachings of Christ is no more than an allegory of parenting and growing children with some morals. In that light the "Apocalypse" is no more that the chastisement to wayward children of the angry father coming to give them a beating. Quite frankly there is nothing Christian in the books presentation of Christ as a vengeful angry blood shedding god. Also the mention of anonymous elders sitting by God's throne whose only job is to kow tow to God is just plain hideous.